Recruiting is a thorough process. This is exactly why hiring a headhunting company can provide crucial help. It’s normal to have some reservations. After all, you are trusting an important part of your business to “an outsider”. Plus, it may feel as if you’re somehow failing by having someone else take care of your recruiting services. However, hiring a headhunting company doesn’t mean you won’t get to manage and grow your business. In fact, a winning headhunting company will maintain you informed and involved throughout the entire process. First, learn about the company you’re hiring. Research them, as well as the industry they work for. Check their references and talk to former or current clients. Ask about their experiences. Meet with the headhunter you are researching. Make sure they understand your business. Also, that you’re both on the same page, whether it be about fees or the type of people you need. Before hiring headhunting services, have a clear panorama of your needs. Analyze your business and assess its weaknesses. Identify areas where you need more (or better) resources. This paves the way for the recruiter to be more effective in finding exactly what you need. A good recruiter will keep you in the loop about the talent they’re planning to bring in. Nevertheless, you should express interest in being informed. This way, you will create a bond with your recruiter. This connection leads to better qualified and culture-fit talent. Plus, the recruiter will get to know your business on a deeper level. Involvement with your recruiter also allows you to meet the candidates they’re considering. This gives you the opportunity to create a bond with your possible new hire. Also, this can make you feel less detached from the whole hiring process. Once you’ve researched and bonded with your recruiter, there’s one thing left to do: cooperate. You want great results, and your headhunter wants to deliver them. So, if your recruiter asks for information or anything else they need to get what you need, provide it in a timely manner. It’s a two-way street. 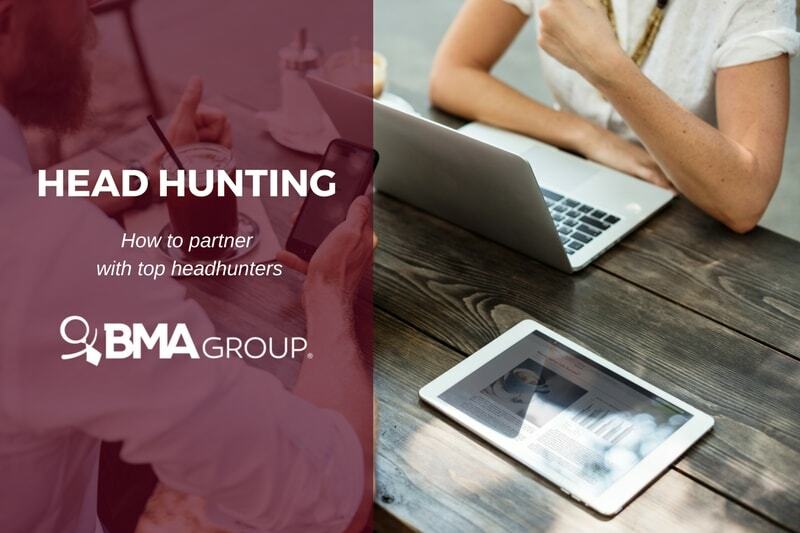 Remember—a great headhunting company will look to you as a partner, not solely their employer. So, consider them a key part of your team; they’ll support your company’s success.